For patients dealing with moderate to severe facial wrinkles and folds, Restylane offers a virtually painless, quick treatment with little to no downtime that can add more volume and fullness to the face. 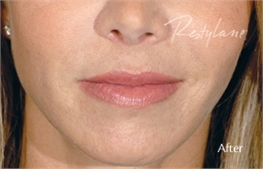 Restylane is an injectable facial filler designed for reducing wrinkles, replenishing volume, and smoothing fine lines. This anti-aging treatment can help soften the appearance of acne scars and improve facial symmetry by evening out the volume in the face and filling in hollow or sagging areas of skin. Restylane treatments typically take between 10 and 30 minutes to complete, depending on the size of the areas being treated and the number of injections needed. Possible side effects of Restylane include mild swelling, tenderness or bruising. Any side effects typically last less than a week. Results are noticeable almost instantly after treatment. Often results can last for up to 18 months with follow-up treatments scheduled from four to nine months after the initial session. 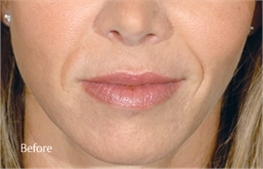 Restylane is also FDA-approved for lip enhancements and can offer results for up to 6 months. For patients who need to diminish the appearance of more pronounced wrinkles that may require a deeper injection, Dr. Haven also offers Perlane treatments. Similar to Restylane, Perlane is designed for patients with more severe wrinkles and lines.